Mini coats addon with a nice interface! After installing the addon, in the main menu will appear Capes button. 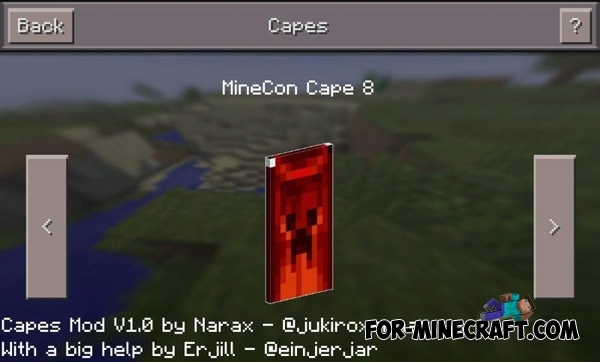 By clicking on it, you open a special window in which you can choose one of 10 capes from the Minecon festival with using a simple switching.